Halloween is not celebrated in Taiwan, but the pumpkin is nevertheless a popular seasonal ingredient. 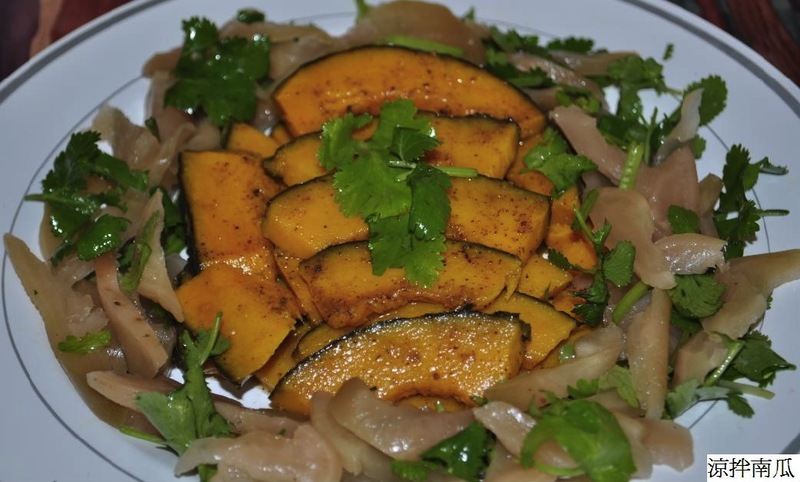 In this recipe, pumpkin is steamed and then seasoned with plum powder. Steam pumpkin for 20 minutes or until cooked. Chill pumpkin in the refrigerator. Slice pumpkin into pieces approximately 1 cm thick. Dip each slice in the lemon juice mixture. Place the sliced pumpkin into a container and pour the remainder of the juice mixture over the pumpkin. Refrigerate for at least two hours. Place pumpkin on a plate. Sprinkle plum powder and serve. Sprinkle plum powder over the pumpkin to enhance its flavor. 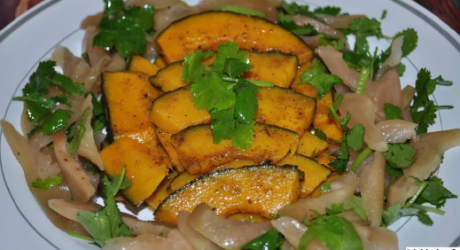 You can also use other items to decorate the pumpkin dish, such as fruits or pickled daikon. What kind of pumpkin does this recipe use? Hi there, I know you said you don’t celebrate Halloween in Taiwan but I do in England. I plan to have a buffet party and these Seasoned Pumpkin look delicious. Also, I will be attempting to make some homemade bread with my new panasonic breadmaker. Thanks for sharing this recipe. I am glad to know you like the recipe. Wish you have a great party.